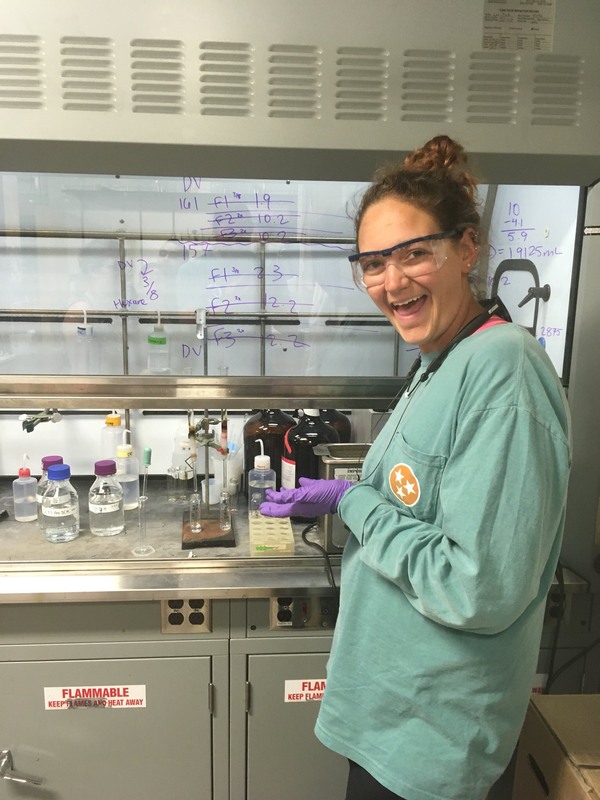 With the generous support from the C-DEBI research exchange grant, I had the opportunity to participate in the International Geobiology Course, which was directed by Drs. Alex Session, Victoria Orphan, and Woody Fischer from the California Institute of Technology (in conjuction with the Agouron Institute, Simons Foundation and USC Wrigley Institute). In this course, I traveled with 15 other geobiology graduate students to Mono Lake, Naples Beach, and Santa Paula Creek where we learned how to collect biological and geochemical samples for analysis at Caltech. At Caltech, I learned cutting-edge laboratory techniques including SEM, stable isotope analysis, SIMS, and NanoSIMS. 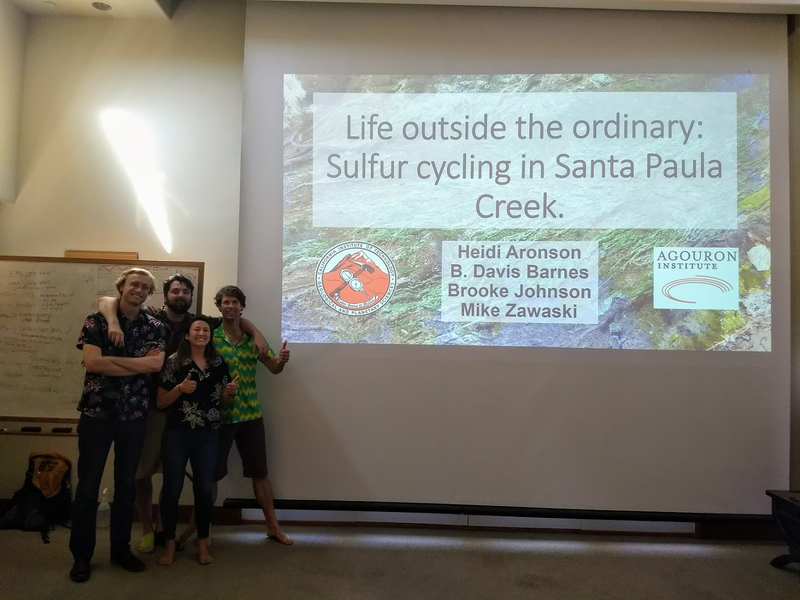 Finally, on Catalina Island, I worked with three other students on a project that investigated the sulfur cycle at Santa Paula Creek, which we will be presenting at the AGU annual meeting. Participating in this course provided not only comprehensive training in geobiology, but also a unique opportunity to network with established scientists and peers that I hope to collaborate with in the future. Since returning from this course, I have a stronger understanding of current interdisciplinary topics and questions in geobiology and the ways in which these ideas are addressed. I look forward to continuing to pursue research in geobiology and collaborating with the scientists I have connected with on this course. 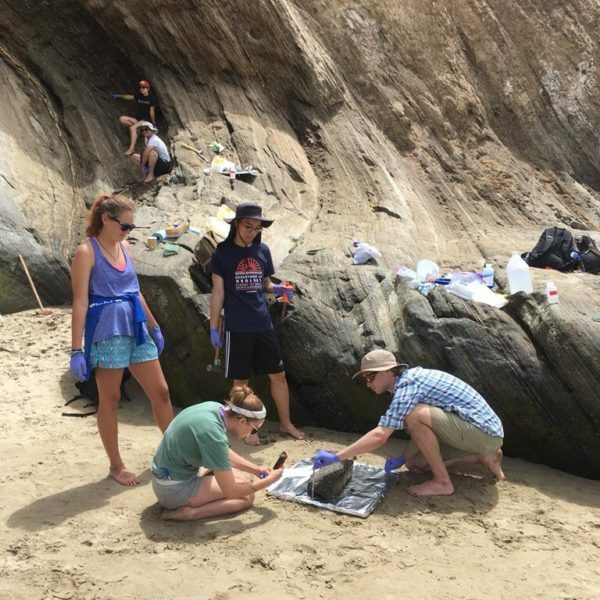 A C-DEBI research exchange was awarded for travel to the International Geobiology Summer Course hosted by California Institute of Technology (in conjuction with the Agouron Institute, Simons Foundation and USC Wrigley Institute). 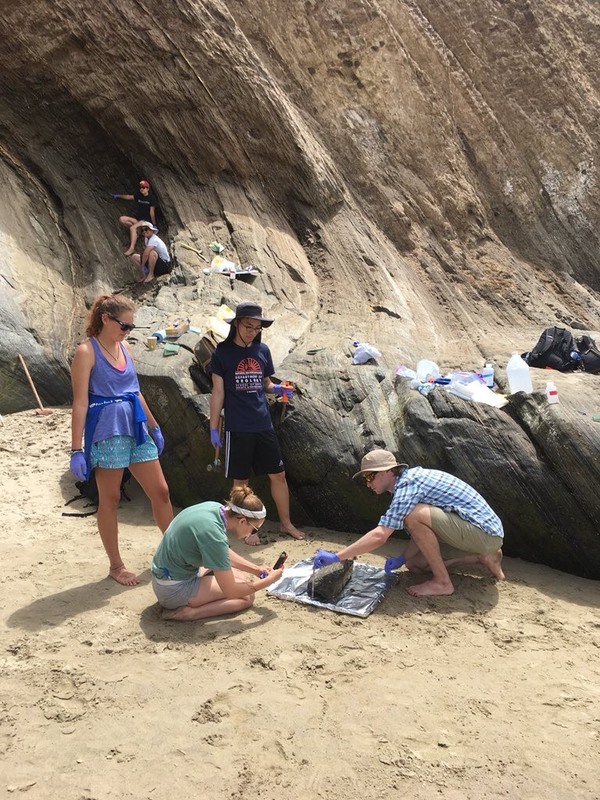 This course offered many unique opportunities including extensive field sampling, lab work, and data analyses. 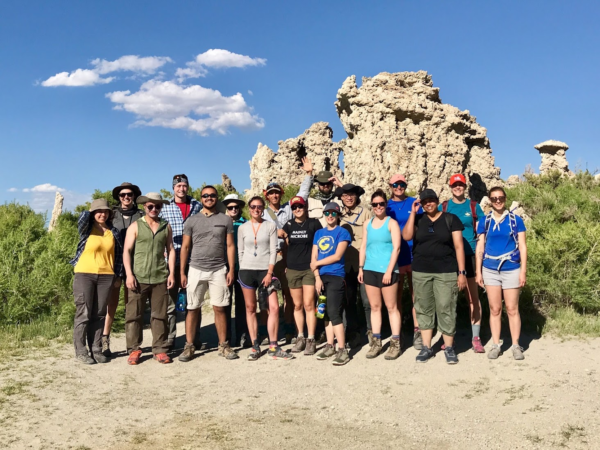 Field sampling occurred at Mono Lake, Little Hot Creek, the Monterey Formation, and Sulfur Mountain. Laboratory procedures included DNA extraction and PCR, CARD-FISH, microeukaryote culturing, nanoSIMS, beamline, SEM, biomarker, isotopes, and petrography analyses. 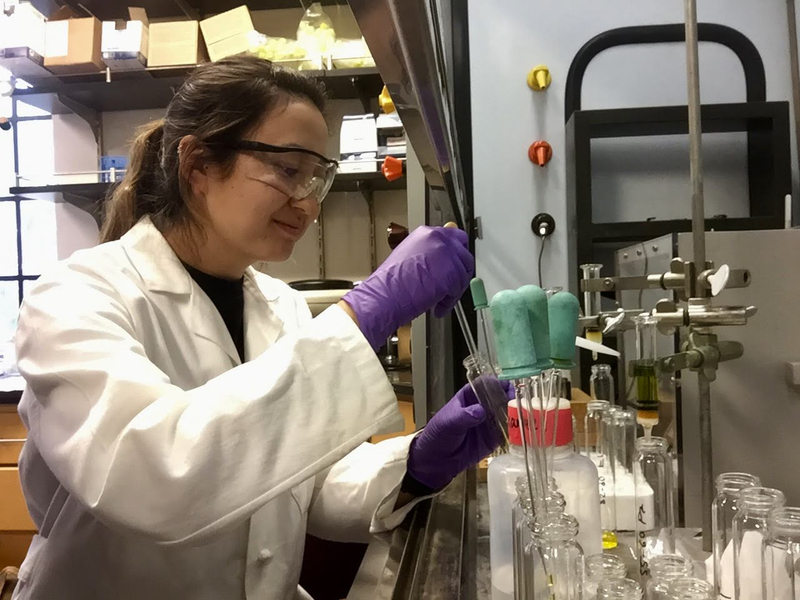 We found that there was potential for microbial communities to be active at low levels in Mono Lake sediments. We also concluded that there were detrital input of albite and orthoclase into Mono sediments that correlated with El Niño and La Niña events. These data were analyzed and presented for the participants, directors, and course administrators on the final day. 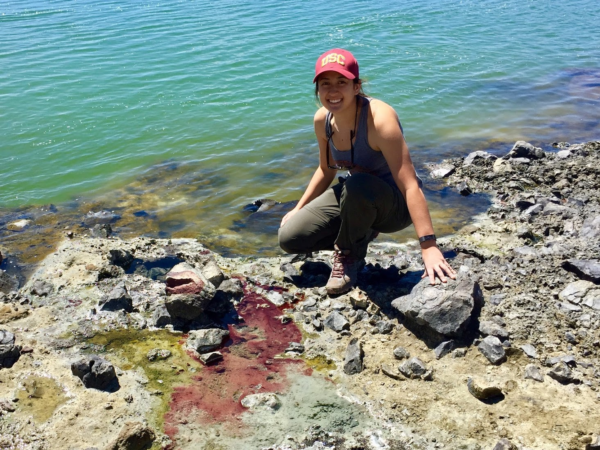 This experience not only provided me with technical training, but also allowed me to build an extensive network of colleagues in the field of geobiology. 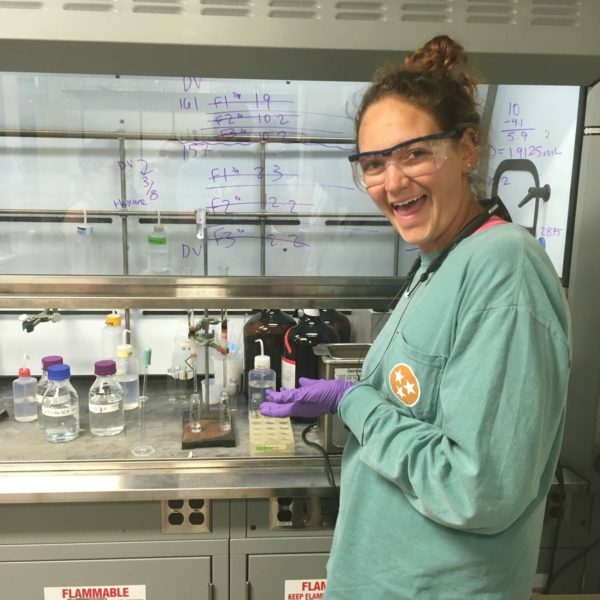 This course was relevant to C-DEBI Research Themes 2 (Activities, Communities, and Ecosystems) and 3 (Metabolism, Survival, and Adaptation) because we connected microbial community structure and potential function to geochemical measurements.